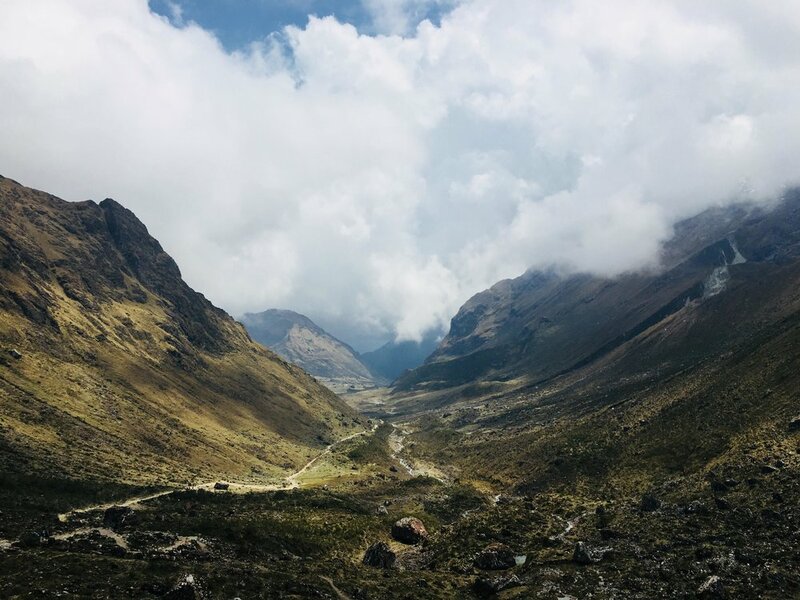 During our 6-day trek on the Salkantay route, we covered over 70 km and reached altitudes of up to 4600m covering Andean mountains, jungles, and breathtaking scenery. This was my first multi day trek and it was by far the most physically challenging activity that I had ever done! After spending a day and a half exploring Cusco city, we embarked on a 4-hour drive to Marcojasa where our trek began. It was initially hard at first to get used to the long distance trekking, but the views were incredible and that kept me going. At our campsite, we were always woken up to a cup of Coca leaf tea and hot water. Peru is one of the few countries in the world where consumption of Coca leaves is legal. It is told by the locals there that it helps with adjusting to the new altitude and helps with altitude sickness. Laguna Humantay was definitely the highlight of the trek and it was the most beautiful lake I had ever seen. The turquoise lake was surrounded by snow covered mountains, a view to remember. It made the hike to get up there worthwhile. Getting to Salkantay Pass was the most challenging day. 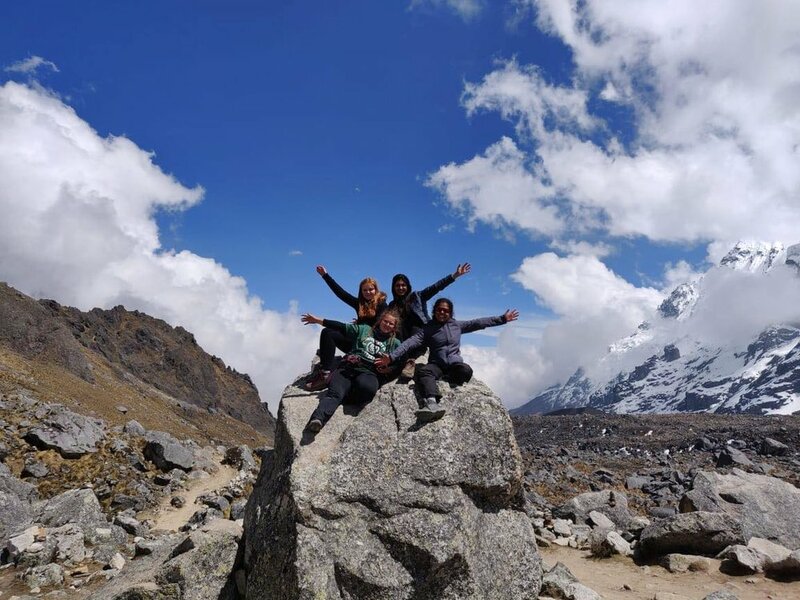 It was the highest point of the entire trek and were closest to the Salkantay Mountain. As we were moving to a higher altitude, the air got progressively thinner making the walk more challenging than ever. On the penultimate day of the trek, we reached Aguas Calientes, the town below Machu Picchu. We woke up at 5am the next day, to start our journey to the ancient city of Machu Picchu. Our hike was made up of over 1500 steep steps most of which were carved out of one stone. The moment of excitement after we reached the Machu Picchu is indescribable. Fun fact- the tall mountain you always see in pictures is actually called Huayana Picchu! Machu Picchu Mountain is the one on the opposite side. The guides who accompanied us on the trek were incredibly helpful. They were always motivating and encouraging and made sure I did not give up. I even got to practice the basic Spanish I learn at university with them. We also had interesting conversations about local traditions in Peru and compared that to the ones in the UK and my home country of India. The chefs and porters who accompanied us cooked us delicious food with plenty of carbs and protein to keep us powered up for the day. We had a taste of authentic Peruvian food throughout the trek with lots of soup, beans, avocados and meat. We even had Pancakes with Dulce de Leche for breakfast one day! Make new friends – I made lots of new friends during the trek. Taking part in a challenge is definitely a unique bonding experience. Fundraising for AiDS Orphan has been a great experience. The work they do to help children affected by HIV/AIDS is inspiring and knowing that the few extra hours you put in every week makes a difference in someone’s life is truly satisfying. I cannot recommend doing a charity challenge highly enough! If I could it do all over again, I would and that is what I will be doing next summer by climbing Kilimanjaro as a Challenge Leader!